That’s as true today as it was two centuries ago, when it was first written. And it’s something we should be thinking about as we elect America’s next president. The US president is responsible for upholding the Constitution and representing the American people. Without WE the people… there is no America. WE the people are a nation of 323 million people. We are diverse and we live together under a constitution. Our responsibility is to vote for the candidate who best deserves the White House. President Obama is not perfect. But his self-discipline, consistency and genuine care for others has served us well. President Obama is admired and respected across the globe. But there is no Obama this election season. Instead there are Republicans Donald Trump, Ted Cruz, and John Kasich, Independent Bernie Sanders and Democrat Hillary Clinton. Responsible candidates set an example of respectful debate. They raise us up. Responsible candidates work for the good of all Americans. They bring us together. Responsible candidates have consistent policies. They stand by their words. They take responsibility. Thoughtful Republicans have a hard choice ahead of them this year. Ted Cruz and Trump have both insulted immigrants and have a win/lose mentality, promising “deals” that result in them always being the winners. We need a president who is fair and has the temperament to engage in civil dialogue with world leaders. Kasich seems to lean in the latter direction. Democrats are facing a choice between a longtime Senator who has championed the underdog his entire career, and a former Senator and Secretary of State who has done the same, as well as representing America in a strong and dedicated manner. Both Clinton and Sanders are formidable characters who have sincere and passionate supporters as well as their fair share of enemies. One of them will emerge the winner. But if our picks aren’t your picks, please don’t turn your back on the election. No matter how many castles in the air the candidates try to sell us, we live in a real world. Actions have consequences. So does inaction. It matters who America picks as its next president. We the people must do our best to see the better candidate prevail. That means casting our votes. We were very impressed with Sarah Iannarone. She has good ideas for addressing the many pressing issues facing the city; however, she lacks experience. We like her common-sense approach to getting things done, and we encourage her to run for office in the future. Jules Bailey is qualified, able, and has great ideas about addressing the major issues facing the city. We like his enthusiasm and knowledge of how to get things done. We were disappointed that he is not willing to take a stand on the Portland Police Bureau’s 48-hour rule, but is spot on about what it takes to by a strong mayor. Bailey is an impressive candidate who has a great future in front of him. 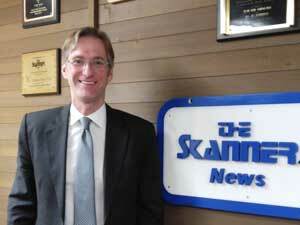 The Skanner News endorses Ted Wheeler for mayor of PortlandTed Wheeler has experience with issues that need to be addressed, and has promised a collaborative approach to being mayor. We have not seen that approach from him in the past while he was chair of the Multnomah County commissioners. He has admitted he could have done better, and promises in the future to make sure he consults a wider variety of people and listen to their ideas about what the city needs. We are going to hold him to that promise. Wheeler is on record supporting an end to the 48-hour police rule, finding a long-range plan to address homelessness, building of truly affordable housing and improving disaster preparedness, some of the issues we strongly support. We appreciate his genuine interest in serving the people, which is what the mayor is called upon to do. WE ENDORSE TED WHEELER FOR MAYOR. Amanda Fritz is her own person. She listens carefully then makes her best decision on issues. This is a quality that sets her apart, and it is one we admire, even though we may not always agree with her decisions. Fritz is good for the city, and we hope she will continue taking the measured, long-term perspective on issues that adds strength to the city council. 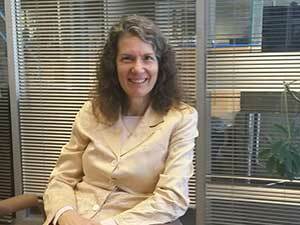 WE ENDORSE AMANDA FRITZ FOR PORTLAND CITY COMMISSIONER, DIST. 1. Fred Stewart has been in a number of political races, but has not held elected office. However, we think he has a lot to offer, and brings a much needed perspective to the table. He understands the many problems facing this city and has the tenacity and vision to solve them. We think he deserves a chance to bring a different voice to the city council. 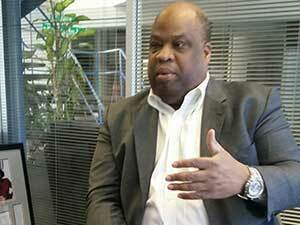 WE ENDORSE FRED STEWART FOR PORTLAND CITY COMMISSIONER, DIST. 4. This tax is regressive. We’d prefer to see a system requiring users of alternative transportation, such as bicycles, to share in the cost. A “yes” vote on this measure keeps the status quo intact – property taxes will stay the same rather than be cut – and enable the Oregon Historical Society to continue its critical work preserving our region’s history. The deadline to mail or drop your ballot is May 17, 2016. For details see the Multnomah County elections page. To learn how you can keep track of your ballot, click here.